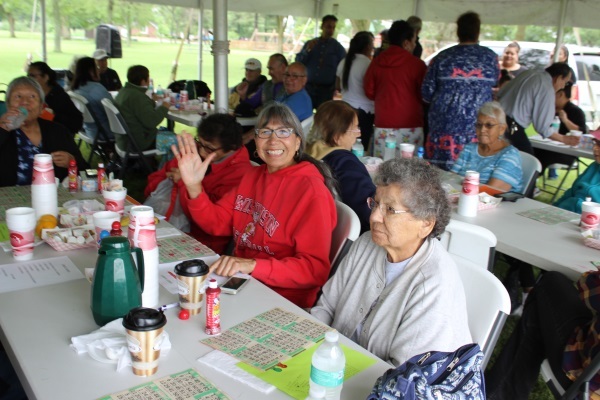 Ho-Chunk elders gathered from all communities on Thursday, June 21, for the annual Ho-Chunk Elder Picnic at Winnebago Park in Tomah. A total of 137 elders attended this year’s event. A multitude of raffle prizes were given and bingo games were played. A meal of traditional food was offered to all people in attendance.